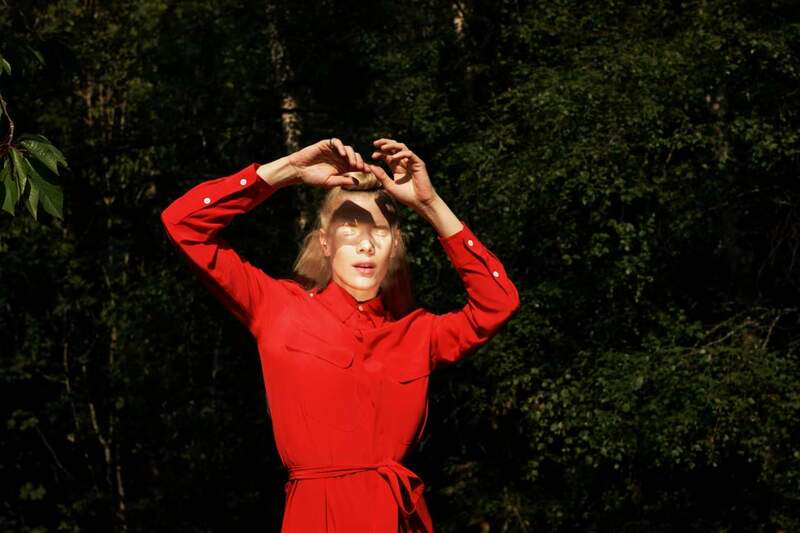 Norwegian artist Sandra Kolstad is currently preparing her new album, Burning Love. Kolstad infuses her sound with striking vocals that capture the duality of emotions and underscores it with modular synthesizers to create a tapestry of textures that expand wonderfully in the final few minutes. On the album, she exposes a brighter, more accessible pop side to her work – at the same time she’s more experimenting more than ever before. ‘Halflife’ is the first single from her forthcoming album and is a teaser of her prodigious talent. Following the release of their ace debut album Pink Noise earlier this year, Swedish trio Echo Ladies return with a brand new single on November 16th. It will be available on orange or silver 7” vinyl (as well as digital) and coincides with their UK and Ireland tour. It’s now more than three years since the Vancouver-based, two-time JUNO Award-winning Canadian musician Dan Mangan’s last full-length studio album (the rather impressive Club Meds, released under the name Dan Mangan + Blacksmith), but as ‘Cold In The Summer’ quickly affirms he has lost none of his ability to craft a top tune in the interim. Dan Mangan plays a co-headline show with Laura Gibson at Queen Elizabeth Hall in London’s Southbank Centre on November 13th. Gabe Gurnsey reveals the hedonistic video for the catchy ‘You Can’, the new single from his excellent first solo album Physical. An extended version of ‘You Can’ will be released on 12” vinyl with a remix by The Hacker on 26 October via Phantasy Sound. Firstly, Cheerbleederz – what a great name; secondly this London trio infuse DIY punky pop with unabashed three-pronged melodies and darkly self-deprecating lyrics on first track ‘cabin fever’. Dissecting the travails of dating in 2018, it’s about being unable to tell someone how you feel, and in turn, feeling trapped by that situation. It’s lifted from their debut EP faceplant on Alcopop. Stanlaey is the musical moniker of the Bristol-based singer, composer, producer and multi-instrumentalist Bethany Stenning, performing her original compositions live with Ben Holyoake (bass), Oliver Cocup (drums/percussion) and Naomi Hill (violin). Bethany releases her new singe ‘Ode To Ovid’, next week. The track is taken from the forthcoming album, The Human Project, due for release in Spring 2019. Dutch Born Welsh-based artist Accü will be releasing her brand new single ‘Crash To Kill’ next week on Libertino Records. ‘Crash to Kill’ is the third single to be taken from her debut album Echo The Red out at the end of October. Fusing a Tales of the Unexpected keyboard line, haunting vocals, it’s a sound redolent of a slightly weirder Stereolab.